Toledo, OH – January 16, 2013: BizTech, a provider of information technology and business software solutions, is pleased to announce the addition of Larry Tussing to its team. Larry has joined BizTech as an Infor VISUAL & Network Consultant. In this role, Larry will assist clients by providing a variety of technical support services. Utilizing Larry’s combined experience of supporting Infor VISUAL ERP software and IT systems management will allow BizTech to better serve their clients. “Larry has significant experience supporting ERP and IT Systems. Also, he has a thorough understanding of the effects of technology in a business environment,” said Joe Zalewski, Managing Partner and COO at BizTech. “His versatility will definitely be an advantage for both our VISUAL and Network support clients”. 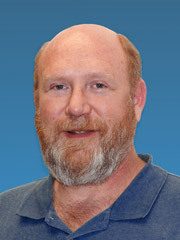 Larry resides in Pemberville, Ohio and will work from BizTech’s corporate office located in Toledo, Ohio. Larry has 25 years of experience as an IT Manager in a manufacturing environment, with 14 of those years using and supporting the Infor VISUAL ERP software. Prior to joining BizTech, Larry worked as the IT Manager for Kennametal Inc. and Clarke American-Lincoln. Larry’s strength lies in his versatility and understanding of supporting IT and ERP in manufacturing facilities. In addition to his many certifications, Larry has an Associates Degree in Computer Science from the University of Findlay. Founded in 1999 and located in Toledo, Ohio, Business Technical Consulting, LLC (BizTech) is dedicated to providing complete Enterprise Resource Planning (ERP)and Information Technology (IT) solutions that deliver value to our clients. Long-term Partnerships with our clients are forged by investing the time to understand business objectives, so that we can deliver valuable results that will help their organizations to be more productive and profitable. BizTech delivers results with solutions from industry leading manufacturers such as Infor, Microsoft™, DELL™, HP, Citrix® and Cisco. BizTech is an Infor VISUAL™ ERP Channel Partner, a Microsoft™ Registered Partner, a Citrix® Authorized Solution Advisor, and Comptia A+ Certified. The BizTech Team has one simple goal: to partner with your company in a joint effort to improve your business processes and increase your profitability.